After spending a week tripping around New Zealand’s South Island with the Women Want Adventure crew, it was time for each of us to go our own way. Some of the ladies stuck around Queenstown to soak in the restorative waters of the Onsen hot pools, a couple hit the Routeburn Track to take in more of New Zealand’s incredible natural landscapes, and I jumped on a bus over to Wanaka. Hired a bike to cycle by Lake Wanaka. At just an hour away from Queenstown, the two New Zealand towns have their similarities — both situated on a lake, and surrounded by mountains. But if Queenstown is the adventure capital, then Wanaka is it’s laid-back sibling. I’ve always been drawn to the landscapes of this part of New Zealand, and I love that in Wanaka you get the more relaxed vibe but still have plenty going on with restaurants, cafes, pubs, access to snow if the season is right and that’s what you’re into, and, importantly, nearby hiking trails, cycle ways, and national parks. With only a few days before I was due to head back to Sydney, I couldn’t do all of the things (Rippon… next time, and Roys Peak… I’ll be back for you!). What I did do was the perfect mix of relaxation and adventure. 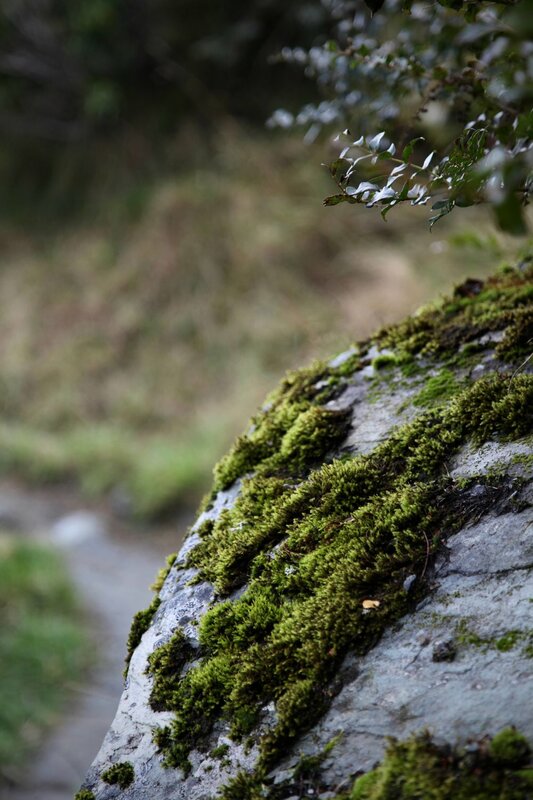 I wandered lakeside beside what might just be the most paparazzi’d tree in the world, hired a bike to cycle around Glendhu Bay way, and took a bus out of town to spend a day in Mount Aspiring National Park doing the Rob Roy Glacier Track. And that hike is what I’m going to share some pictures of. Mt Aspiring National Park is part of Te Wahipounamu, an internationally recognised World Heritage Area in south west New Zealand. 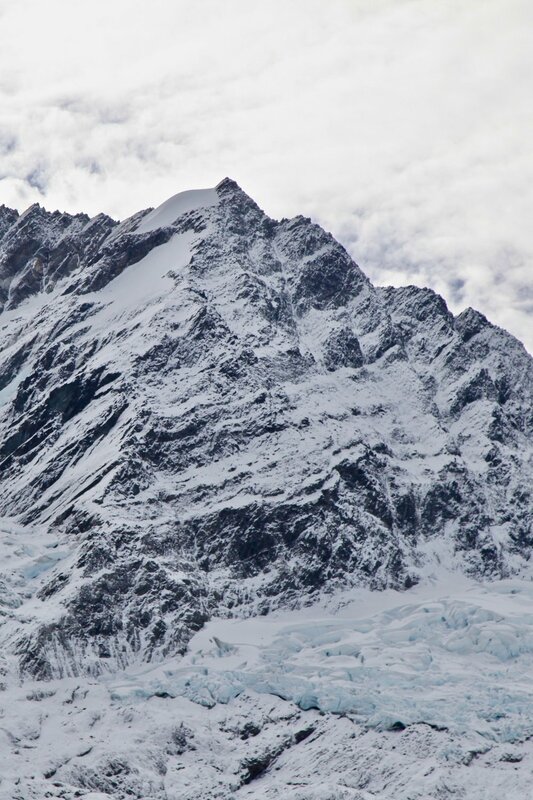 It’s home to alpine landscapes of mountains, forest, rivers, waterfalls, and glaciers. 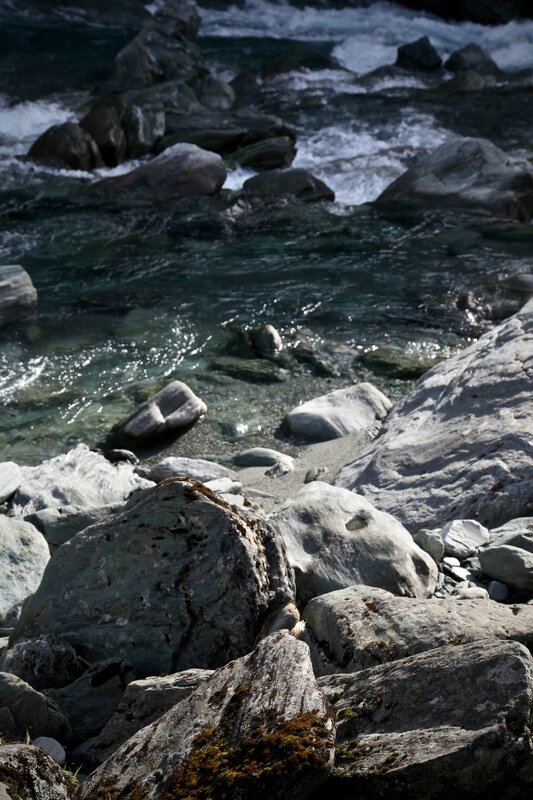 A great way to experience a bit of all that in just one day is by walking the Rob Roy Glacier Track. 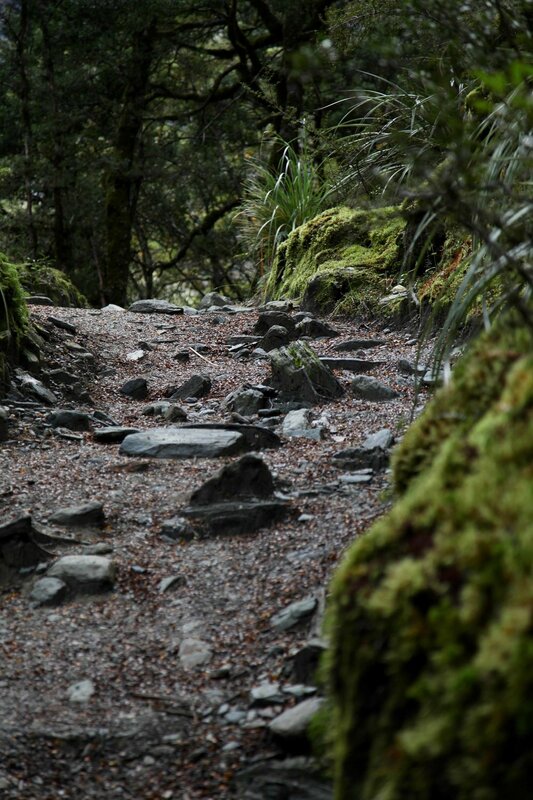 Rob Roy Glacier Track in Mount Aspiring National Park on New Zealand’s South Island. 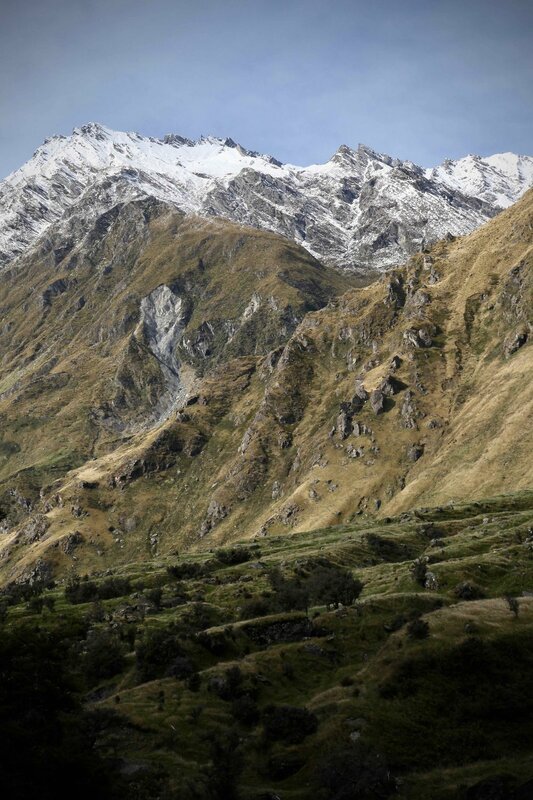 If you’re in Wanaka and looking for a great way to spend a day, you won’t regret getting a bus out to Mount Aspiring National Park. These guys will get you there. You’re looking to head to Raspberry Creek, which is the start of the Rob Roy Glacier Track into Mount Aspiring National Park. If you do drive yourself, you should know you’ll be on unsealed road for about 30km. 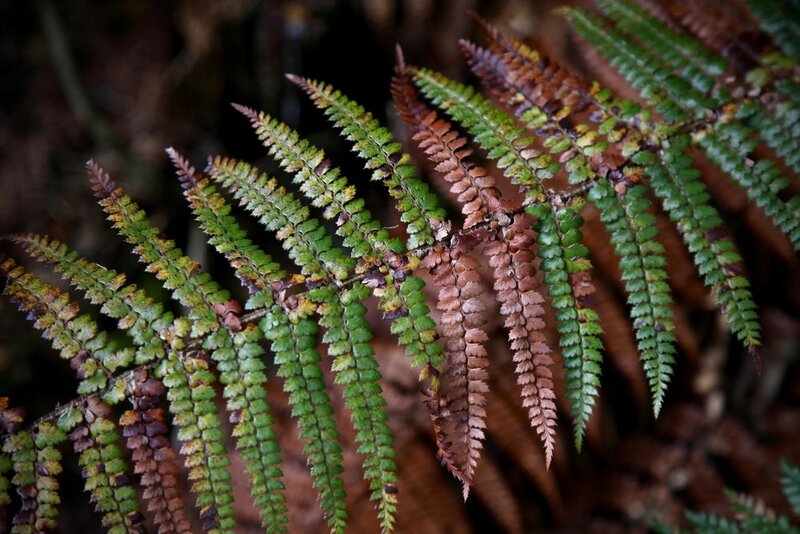 Read more about the Rob Roy Glacier track and access over on the NZ Department of Conservation website. 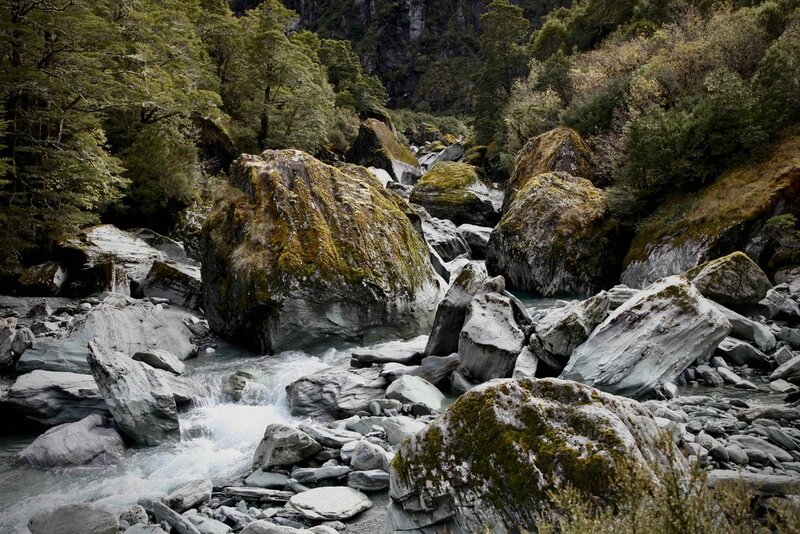 The Rob Roy Glacier Track is 8km return, starting with a walk across the swing bridge over the Matukituki River and winding up through the forest to the glacier.